The Strange Affair of October 24th, 1859: When a flurry of forgeries appears in museums and among collectors, the members of the Agora, a society dedicated to the betterment of man, take it upon themselves to stop the rogues. Is there a traitor among the members? A murderer among the forgers? 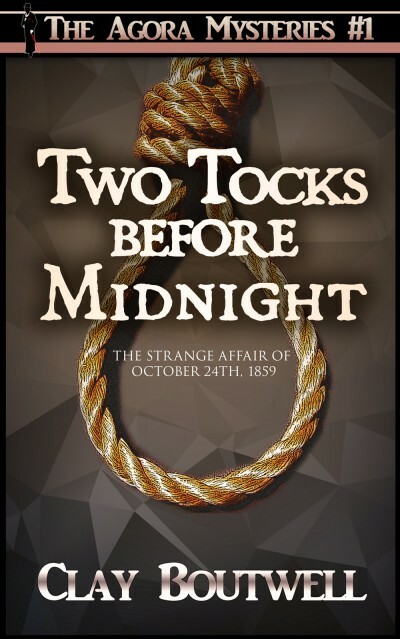 If you like Sir Arthur Conan Doyle's Sherlock Holmes or mysteries set in the 19th century, you will love Two Tocks before Midnight, the first in the Agora mystery series.